1. New Installer. The installer I have used for years was a third party tool that I had the source code for. The made it easy for me to modify the installer so it could do anything I wanted. The problem was that many antivirus didn't recognize the installer and would flag and delete the program as soon as it was downloaded. I've solve that problem by switching the Inno Setup installer, which is a widely used. The antivirus programs now recognizes the installer and don't automatically remove the program as soon as it is downloaded. As the Fountain Computer digital signature makes it into more databases and develops a trustworthy reputation, even these problems should fade. 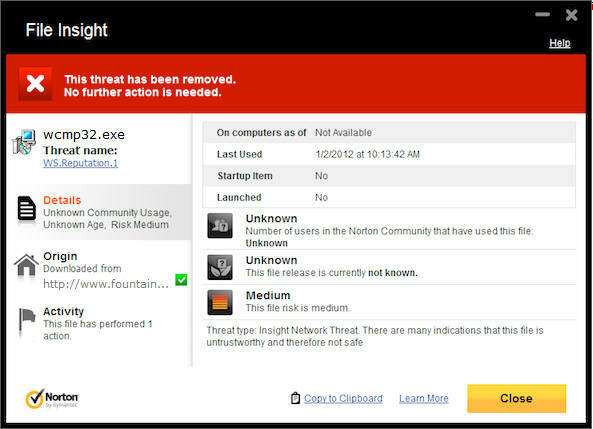 How To Determine If Compass Software is Safe. 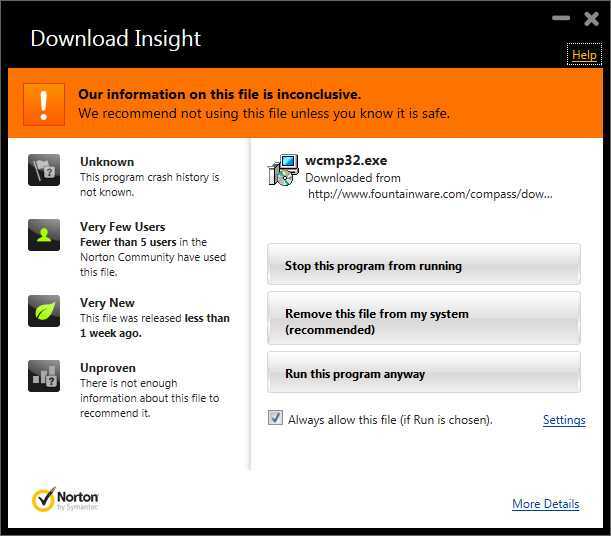 If you have any questions about a Compass file's authenticity, you should verify it before you attempt to install it. Click here for instructions. False Positives. Even with all the measures I've taken to eliminate download and installation problems, it is still possible to have problems. Typically these problems are due to "false positives. Click here for detailed information about dealing with this type of problem.